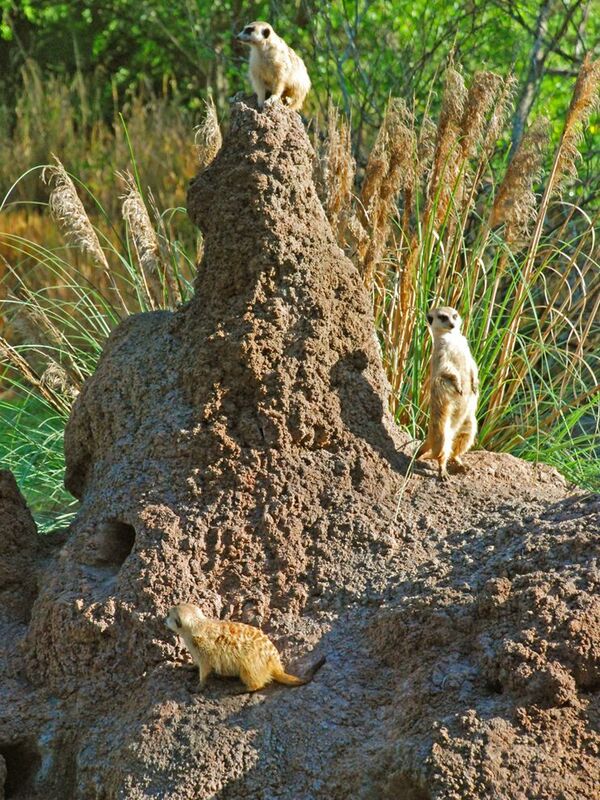 Photo: Meerkats on a mud mound. Meerkat burrows are extensive underground networks that can have more than a dozen entrances. Mobs usually have about 20 members.